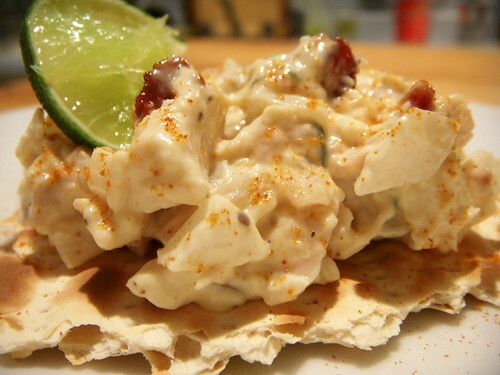 lime-thyme chicken salad with dried cherries, originally uploaded by aarn! +31st July, 2008+. took the meat from half of a chicken that was used for making soup and chopped it up, added a big glob of this experimental lime and thyme mayonnaise from earlier in the week, some diced onion, paprika, fresh ground pepper, a pinch of salt, and chopped dried cherries.